"I have been going here for 25 years. Each visit, Dr. Waksman and his staff go above and beyond for their clients. I always recommend Erie Optical! Excellent variety of frames as well." "Dr. Waldman is outstanding! He's professional, detail oriented and passionate about keeping eyes healthy. I've been a customer for over 25 years and highly recommend Erie Optical." "The services are excellent from start to finish. The Doctor & his Staff takes the necessary time to answer all your questions. I recommend them to all my family & friends. They accept most insurance plans. Karen is my favorite!!" 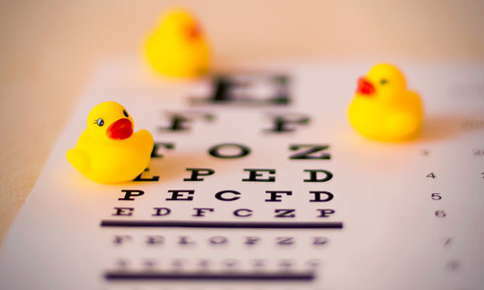 ""I have been going to Erie Optical for 3 years now. My sister referred me to Dr. Waldman after her great experience with him and the office. We had a previous eye doctor and the experience was not good and they charged so much. So when I went to Erie Optical I was so pleased with the office and Dr. Waldman's expertise and thoroughness. I ended up referring my parents and grandmother to Erie Optical too. I will never going anywhere else!!!"" ""They are the best- Doc Waldman takes his time with you and the staff members, like Karen, Brigit, Linda do everything they can to help you look and feel good, after all, fitting glasses is not a job for everyone!! You can’t go wrong there and the service is the best!""